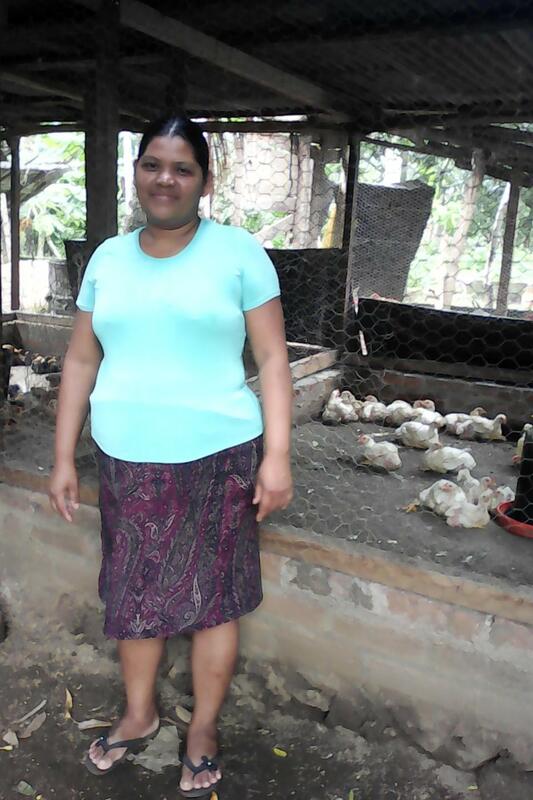 A loan of $875 helped to buy fertilizer and seeds to cultivate beans. Leili, 46, has a 9th grade education. Her husband works in agriculture and construction, and they have 3 grown children. Leili works in agriculture; she grows her own crops with the support of her husband and children. In addition to this, she also works as a dressmaker on the weekends, a skill she learned from her mother, and raises livestock. Leili needs this loan to buy organic fertilizer and seeds to cultivate beans. She dreams of having an abundant harvest, and starting up a formal business selling staple grains. Leili, de 46 años de edad, estudió hasta noveno grado, su esposo se dedica a la agricultura y albañilería y tienen 3 hijos que ya son mayores de edad. Leili, trabaja en agricultura pues hace sus propios cultivos con apoyo de su esposo e hijos, además de eso trabaja como costurera los fines de semana y eso lo aprendió de su madre. Otra de sus actividades es la crianza de ganado. Ella necesita este préstamo para comprar abonos y semillas para cultivar frijoles. Ella sueña con tener cultivos abundantes y poner un negocio formal de venta de granos básicos. It enables vulnerable women to start their own business.